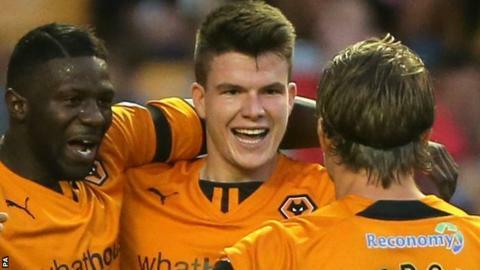 Wolverhampton Wanderers striker Liam McAlinden has signed a new two-year contract with the League One champions. The 20-year-old has scored two goals in nine senior appearances for the club, including the winner in last month's 1-0 league win at MK Dons. McAlinden told the club website: "When I was offered a new deal by the club I didn't have to think twice. McAlinden spent time on loan at Shrewsbury earlier this season, scoring three goals in nine appearances before he was recalled to Molineux in December.